SWD Inc. opened for business in March 1980 with three employees in a 9,000 sq. ft. leased facility and began black oxiding, cleaning, and pickling operations with used equipment. In late 1980, the company began passivating stainless steel and in 1981 purchased Fastener Sorting Corporation. Today, a recognized leader in the Metal Finishing and Fastener Sorting fields, SWD Inc. has over 150 employees and runs three shifts per day in its 165,000 sq. ft. facility just west of Chicago in Addison, Illinois. SWD Inc. has created a tradition of exceptional production quality, complete customer satisfaction and continuing commitment to environmental conservation. With substantial operational experience, state of the art equipment, on-site lab facilities and the precision operating standards that permit certification to automotive, military and industrial standards, SWD Inc. is the Midwest's premier metal finishing and sorting company. 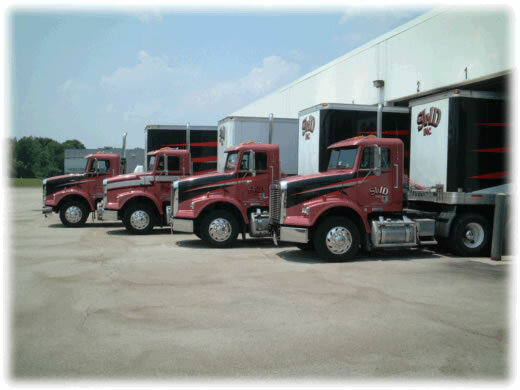 SWD Inc.'s 24-hour operations and in house fleet of tractor trailers serving the Chicago, Rockford, Indianapolis and Milwaukee areas, combined with SWD's drop-ship capabilities, ensures the highest level of customer satisfaction and quick turn-around time. On March 18, 1998 SWD Inc. achieved ISO 9002, QS 9000, and ISO 14001 quality and environmental management systems certification. SWD Inc. was the first company in the U.S. to achieve these international registrations simultaneously, being the first metal finisher in the United States to receive ISO 14001 certification. In December of 1998 SWD Inc became a charter member of the IEPA ISO 14001/EMS. In addition to ISO 14001 certification, SWD Inc. is the only job shop metal finisher in the Midwest with a USEPA 33/50 plan accreditation as well as recipient of the National Performance Review "Hammer Award" for environmental excellence from the U.S. Government. In 1999 SWD received the Illinois State Governor's Pollution Prevention Award for continuing efforts toward eliminating waste and by-products as well as instituting a company wide recycling program. The company is also a charter member of both the Metal Finishing Sector of the Common Sense Initiative Strategic Goals Program and the Multi-State Work Group, which are U.S. Environmental Protection Agency programs designed to reduce energy, waste and water consumption. 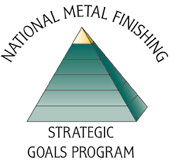 In 2000 SWD Inc. became a charter member of the USEPA National Environmental Achievement Track, and was the only metal finishing company in the United States to be awarded a Gold level in the Strategic Goals Program. SWD Inc. has been on the cutting edge of pollution prevention since it was founded and has continued to strive for the best possible solutions to protect our environment. In 2001 SWD Inc. was awarded Industrial Plant of the Year by the Illinois Association of Pollution Control Operators. In 2003 SWD Inc. became a licensee of Doerken Coating materials and wanting to ensure the highest level of quality installed one of the first full tilt and tumble dip spin units in North America. By utilizing the most state of the art equipment SWD has been able to guarantee the highest levels of quality for their customers. 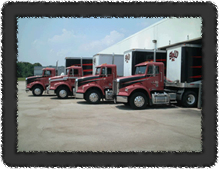 By 2012 SWD Inc needed to expand its operations from the original 105,000 sq. ft. building and added a 60,000 sq. ft. addition as well as additional phosphate and dip spin capacity. In 2014 SWD Inc became the first new licensee of Magni Coatings materials in North America in over 22 years.